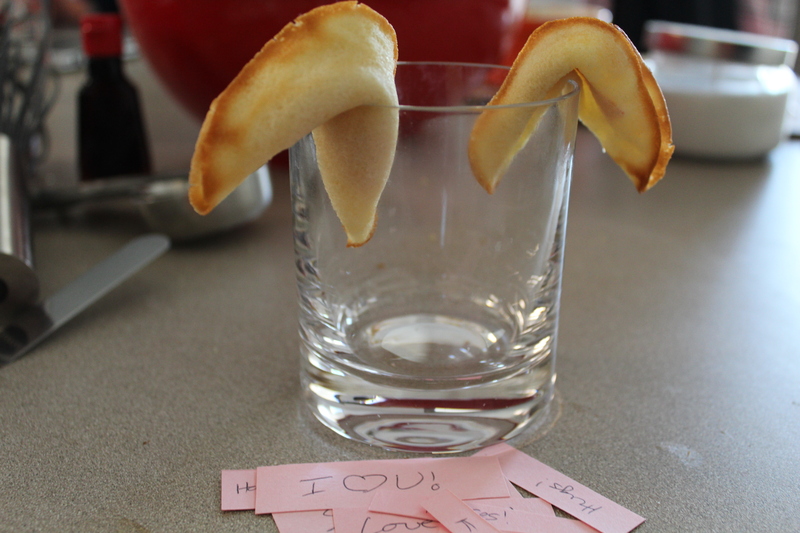 I thought I’d quickly share the fun treats Dan and I made for my little cousins this Valentine’s Day – homemade fortune cookies! and folded the burning hot cookies. How to fold: First, drop th fortune in the botto half of the cookie circle. Then, bring the top part down to meet the bottom. Finally, bring the cornered edges togetehr to form the traditional fortune cookie. 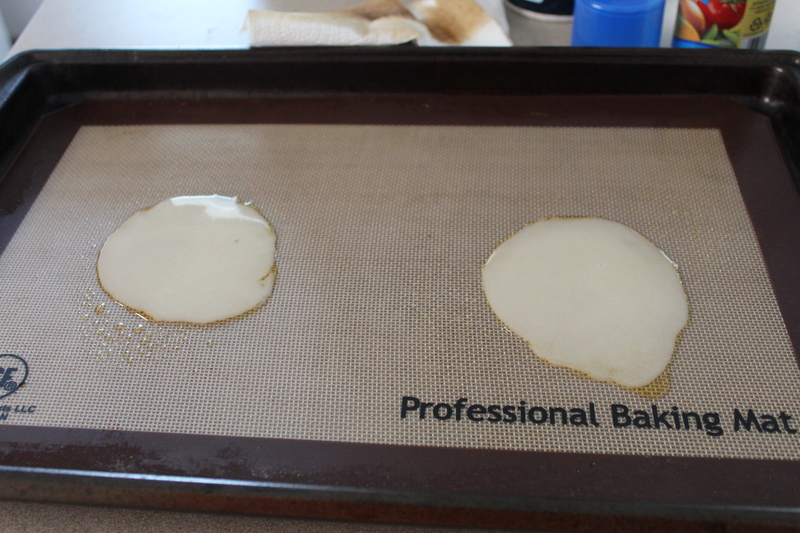 I let the cookies harden up while hanging on a drinking glass. The key is to move quickly – drop the fortune in, fold the cookie, let it hang. You really want to move as fast as possible because the cookies are so very hot when you take them out of the oven. I came up with fortunes like “Dream Big!” “Hugs!” and “You’re the best!” I hand wrote them on small pieces of light pink scrapbook paper. 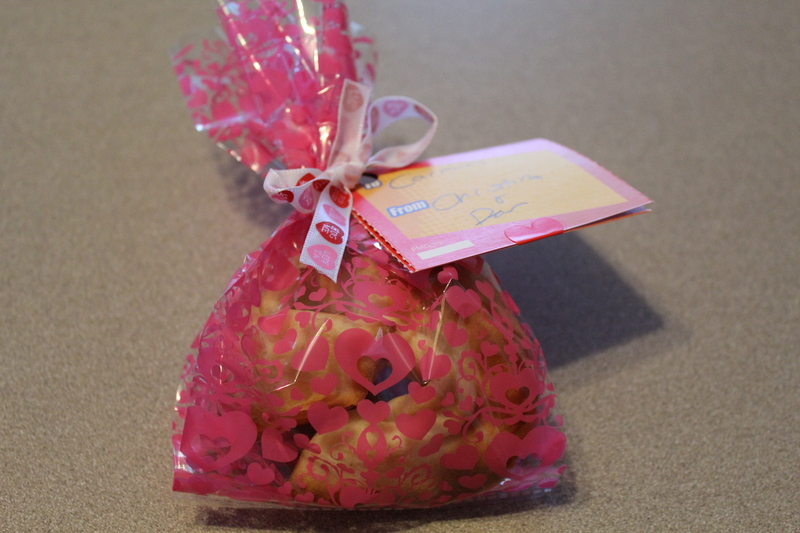 When the fortune cookies cooled, I put 3 to a cute hearts bag, and tied a Toy Story 3 valentine to it. What a cute little treat!